Heart & Sole requires a credit card to schedule an appointment. I do not charge this card unless the cancellation policy needs to be applied. This insures that the cancellation policy is upheld and deters creepers looking to book "other services". Thank you for understanding. Enjoy a custom tailored massage therapy to address your tissue-issues in a tranquil environment. You will receive the full 60, 90, or 120 minutes being massaged and never rushed in and out of the massage room. Aromatherapy and hot towels are included. ​Please call today and to discuss your customized massage for pain relief, to reduce anxiety, and enhance deep relaxation. 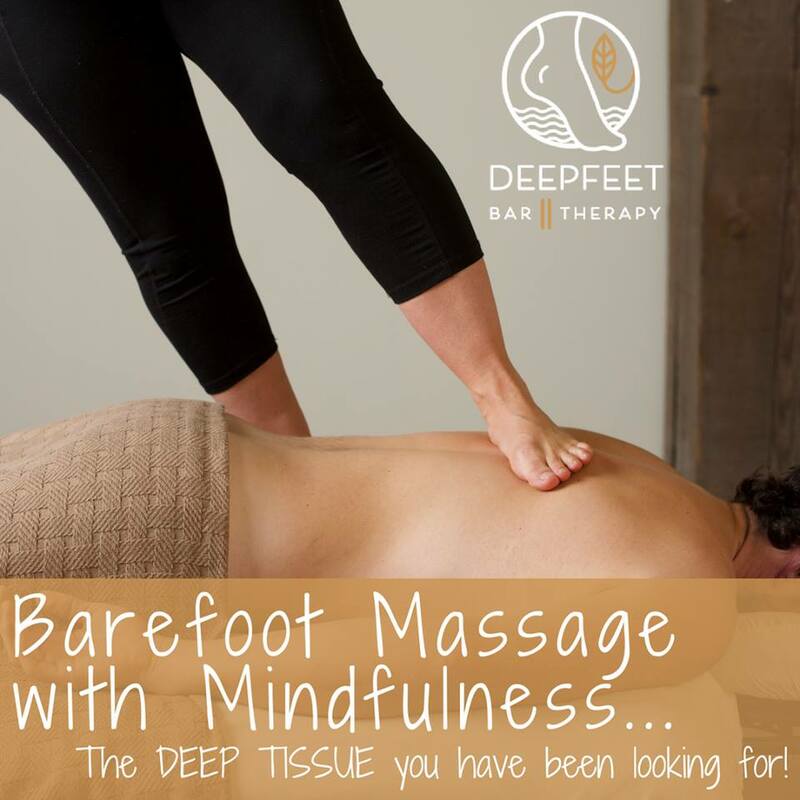 ​I lovingly refer to barefoot massage as the "steam roller massage". Ashiatsu means "foot pressure", and I use my feet to apply long gliding massage strokes with a consistent pressure to a persons body. Ashiatsu can either be a deep flowing swedish massage or an intense hurts-so-good sports massage. Either way, it is potent body work! "The perfect mix", of hands-on therapeutic massage methods to address sore achy muscles and chronic tension yet induce a deep sense of relaxation and calm. A wonderful combination of gentle rocking compressions to the muscles and Thai/ yoga stretching to increase your range of motion. This massage feels like taking a yoga class without having to do any of the work and like you just woke up from a restful nap. A nurturing massage for the growing and changing body of those that are pregnant. Using a supportive body pillow the massage is done in the side lying position paying close attention to low back and hip pain, swollen feet, hands, and ankles; and neck and shoulder tension. You'll feel refreshed and relaxed! Heart & Sole Barefoot Massage is conveniently located in the historic and charming Grandin Village area of Roanoke, Virginia. The office is inside the Farm Bureau building on the corner of Grandin Rd and Maiden Lane.